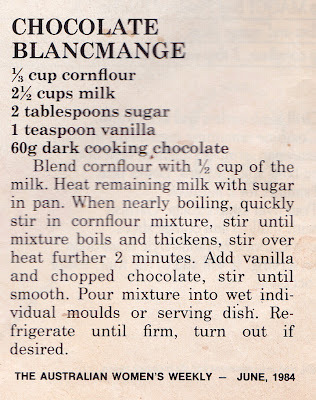 the engineer's other life: Blancmange! The best milk dessert yet. Blancmange! The best milk dessert yet. 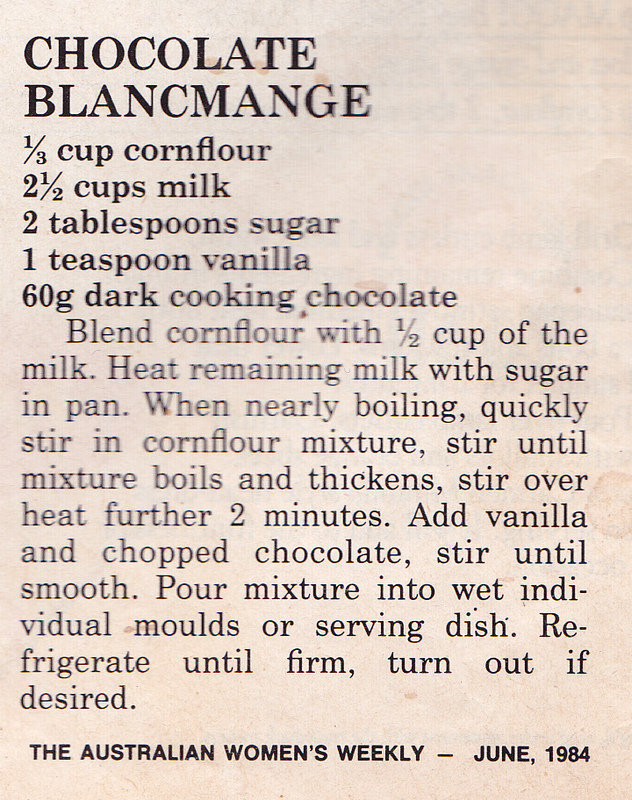 But, I have now discovered, that I love blancmange more. I guess the word means "white eats"... nom nom nom. I don't really know much French. It sets quite suddenly, and as it cools it pulls away from the edges of the bowl. If you made it in a pretty-shaped bowl, you could definitely turn it out like a mould. You could also flavour it with different things - I think berries, white chocolate, any type of essence... it doesn't have much fat or sugar either, so I think it's not too bad as dessert recipes go. Enjoy!